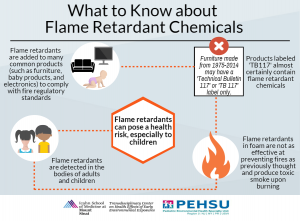 On January 12, 2016, Greening our Children and Mount Sinai’s Children’s Environmental Health Center hosted a community educational event at the Greenwich Library titled Safer Homes, Healthier Families: How to Reduce Exposure to Flame Retardants and Other Prevalent Toxins. Hosted in the Greenwich Library’s Cole Auditorium, the event featured Dr. Arlene Blum of the Green Science Policy Institute. 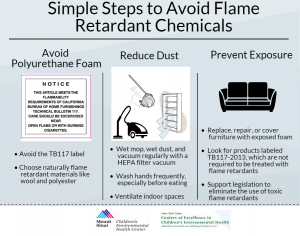 You can view our flame retardant infographic below. This entry was posted in Feature of the Month on January 1, 2016 by mountsinaitceee.